Following on from our story on the use of GPS Trackers by US law enforcement last year (see here), the US Supreme Court has now ruled on their use. In a unanimous ruling, the court has rules that a search warrant is required before a GPS tracking device can be used to follow a suspect's vehicle. 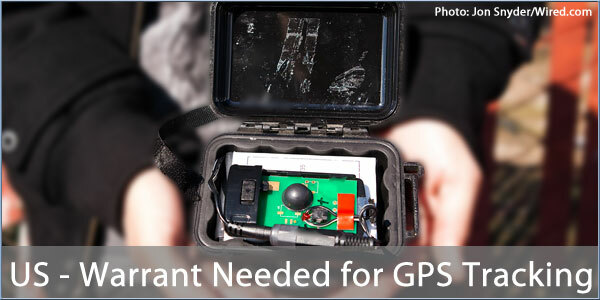 The court decided that the use of GPS trackers, attached to a suspect's vehicle, amounted to a search and that their use, without a warrant violated the Fourth Amendment which protects against unreasonable search and seizure. This ruling only covers the use of physical tracking devices. The court has now been asked to address the use of monitoring of a suspect's mobile phone for location tracking purposes. Currently the ruling does not require a warrant to track in this way. Last year we also covered the teardown of a tracker by iFixIt.com.